Washington state author Joel Jenkins sent along a copy of his new story collection The Condemnation of Crow. 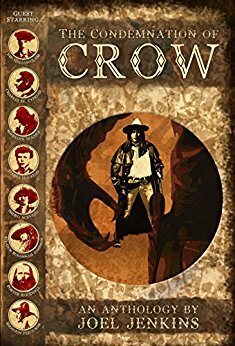 If you're not familiar, Lone Crow is a Native American bounty hunter/gunfighter who gets into all sorts of supernatural situations. 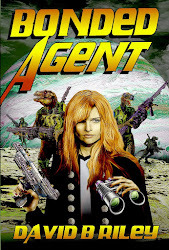 I would describe most of the stories as high energy weird westerns. I have said at science fiction cons when I've talked on weird westerns that these are some of the best gunfight stories I have ever read. Now they're all together in a book. If you like weird westerns read this book. Get your library to order this book. You won't be disappointed. It's first rate adventure and the action never stops. 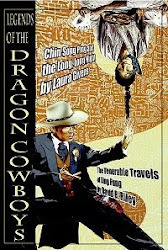 If you aren't in to weird westerns, try this book anyway. It's really good storytelling. I only have one little quibble. This is the second Lone Crow book. The first one, Coming of Crow looks a lot like this one in terms of its cover. While you want a sequel to conjure up the memory of its predecessor, .this book looks too close like the first one. I actually thought, at first glance, I'd been sent another copy of the first book.